With New Year’s Eve right around the corner, you don&apos;t want to drop the ball (corny, we know...but hopefully you love us for that) on making plans. You might be wondering what, if anything, would be open the evening before the New Year in the Rocket City as well as the first day of the new year. Many places close down to ring in 2019, but not Huntsville. Here in the Rocket City, we understand that New Year’s Eve is a pretty big deal. Featured below is a list for you to pick and choose when and where you want to go, because we appreciate that while some people may want to have a night out for the evening, others may want to conquer all of the festivities during the day and then watch the ball drop from the comfort of their own home. 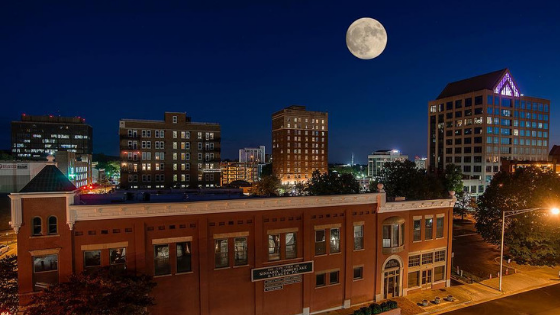 Whether you choose to be an early bird or a night owl this New Year’s Eve, Huntsville wants you to get the most out of your holiday celebration. The Garden is closed December 31 and will be closed all New Year’s Day, but Galaxy of Lights will be open on New Year&apos;s Eve. Click here for Galaxy&apos;s hours of operations. The brand-new Topgolf will be decked out in gold and ready to celebrate with live entertainment, a chef-inspired menu and a midnight celebration to remember. The U.S. Space and Rocket Center will be closed on New Year&apos;s Day. The U.S. Space and Rocket Center will be closed on New Year’s Day. Conducted by Gregory Vajda, the Huntsville Symphony Orchestra will play music of John Williams for a special New Year&apos;s Eve. We know you glowed up this year... Show it off at Skating in the Park! RINK in the new year with us as we skate our way to 2019. Lights will be out and glow sticks will take over at 9:30. Dress up in your most glowing/light-up outfit. Prizes will be awarded to those who shine the brightest! Get your tickets to say goodbye to 2018! Celebrate in Downtown&apos;s Backyard with live music and a New Orleans-inspired menu. Watch the piano drop from a crane in the courtyard during the countdown to midnight. Big Spring Park takes on a holiday glow with over 300 elaborately decorated trees! Enjoy a festive stroll through the park, stop to watch the ice skaters, and savor a hot beverage or dine at a nearby restaurant. Christmas Card Lane is an outdoor, life-size card exhibit located in the Madison&apos;s historic district. You’ll find whimsical, traditional, and religious themes among the more than thirty designs on display. Ain&apos;t nothing but a disco party. Come shake what yo&apos; mamma gave you to one of the best party bands in town. DiscOasis brings back the fun for a very special night. Full menu from the kitchen plus food and drink specials all night. Come party with us. Come ring in the New Year at our Brew Years Eve party from 6PM-1AM! Enjoy our Brut Champagne IPA and fun prizes throughout the night! A new year symbolizes new beginnings, while leaving all that has happened behind in the past year for a clean slate, so why not start out the New Year on a happy note and celebrate with friends and family in Huntsville and Madison County, Alabama. 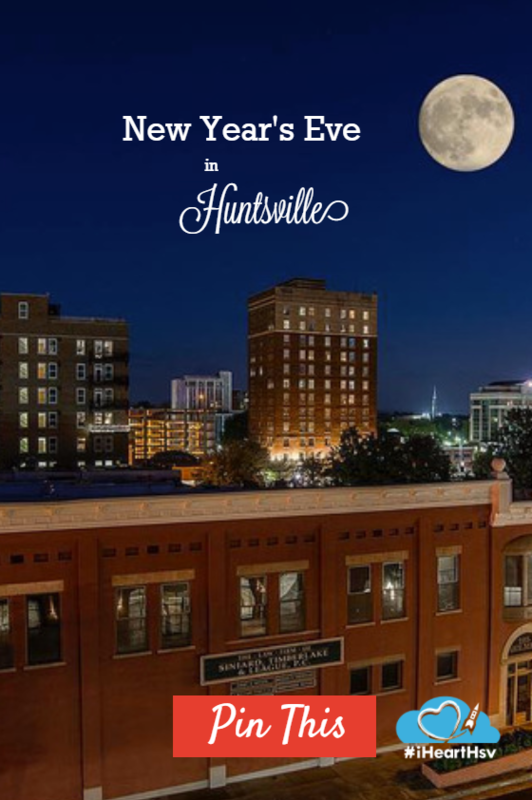 Huntsville wishes you a Happy New Year!